Tag Archive | "computex 2011"
Acer has recently announced the addition of a MeeGo based tablet, the M500 to its Iconia tablet range at Computex 2011. Judging from the available pictures and videos of the Iconia M500 [tracking page], it bears a striking physical resemblance to it’s Android stable-mate, the A500, and has the same 10.1 inch 1280×800 resolution screen. The key difference is that it has a Intel based Moorestown processor under the hood. There is no information on the M500’s battery life at the moment — I will be interested to how good the battery life will be running MeeGo on a Moorestown processor. Chippy’s written a interesting article on battery life advantages of MeeGo and Android running on the Moorestown platform that’s a good read. The M500 offers a MeeGo driven user interface which Acer is calling a ‘snackable UI’. This is essentially a circular shape launcher widget (pictured above) that can be used to access and operate applications such as a browser or a music player. What I find unique is that the user touches the screen using five fingers in a circular shape (see picture below) in order to invoke the widget. The M500 uses a widget based homepage and the eye candy offering is live widgets meaning that each widget will present its content when activated, allowing the user to view multiple live widgets content at a glance. Some notable widgets that were showcased during the Computex demos were for photo, video, calendar, social network feeds and time. Acer has yet to announced a firm date for M500’s release and likewise, pricing is not known. Let’s hope that it will not be too far off the sub $500 mark of the A500. 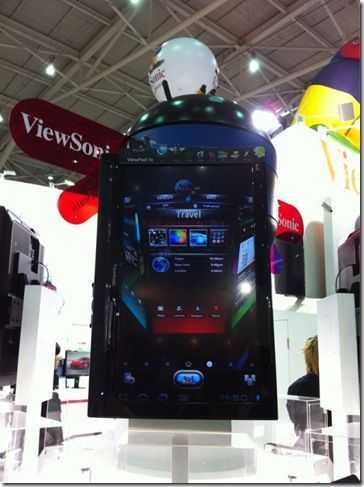 If you’ve been watching the news out of Computex you’ll have seen the Asus Padfone. This is a cool looking device that will allow you to dock your smartphone into the back of an Asus tablet and use the bigger touchscreen as well as some extra ports and perhaps a battery. But how about this beauty from CMIT called the TransPhone. 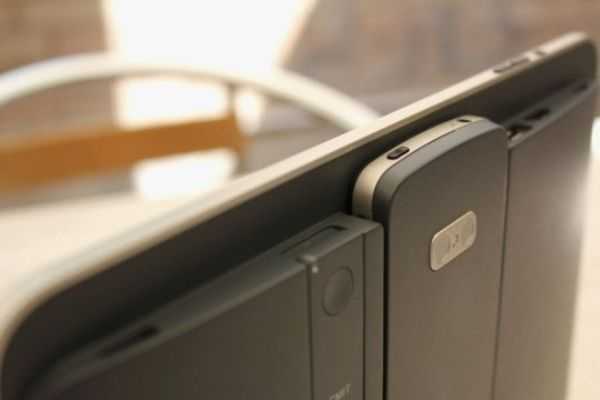 The TransPhone tablet dock also comes with a bluetooth headset which neatly docks next to the phone. The CMIT device reportedly packs a 1.2GHz dual-core Qualcomm processor and SVGA display, along with USB and HDMI ports. The operating system hasn’t been announced yet. From the photo it looks like it might have a 3D camera on the back too. The Padfone looks a bit unweildy to me and may have problems with ergonomics and balance as the phone will add weight to the top of the talet and also bulk as it sits under a trapdoor and is fully enclosed in the tablet. 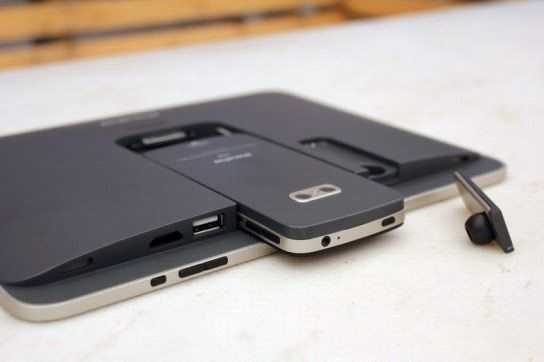 The Transphone docks neatly and the design looks more user friendly and ergonomic to me. I think it will be easier to hold in both landscape and portrait than a device that has a large bump on one side. Neither the Padfone or the Transphone are production models or have even been confirmed as products that will be released but I certainly hope they will be. A tablet that has been getting a good proportion of the 7 inch Honeycomb news recently is the Viewpad 7x. It’s in the database here but our good friend Sascha of Netbooknews has just pinged us about a hands-on video he’s posted. He’s excited too! Micro USB, Mini HDMI, Micro SD, Headphone ports are included with the 1024×600 display. Interestingly there’s a SPB Shell overlay. I wonder why? Is the demo actually running 2.3 instead of Honeycomb? Pricing is looking ok with a target of $449-499 for a Wi-Fi version that should be available in early Q3 Sascha tells us. 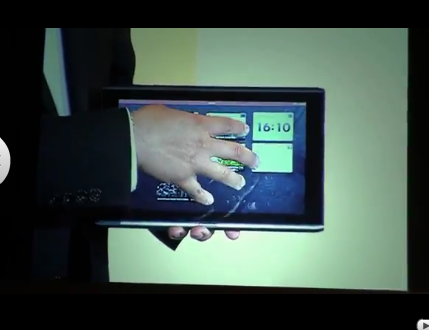 The netbooknews article on the Viewpad 7x is here. 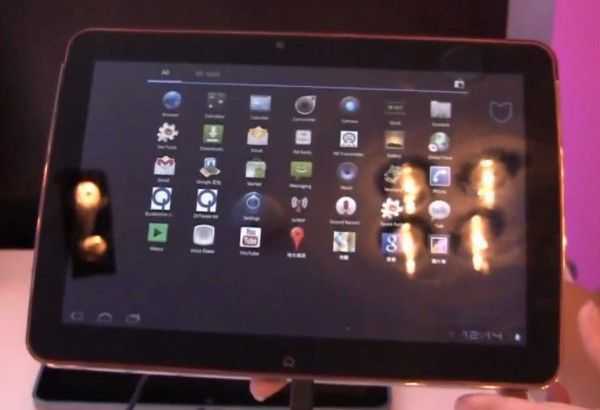 Amongst a packed keynote from Intel at Computex today that includes Ultrabooks, Ivy Bridge, Cedar Trail and cloud talk, Intel showcase a Medfield tablet running Android Honeycomb. 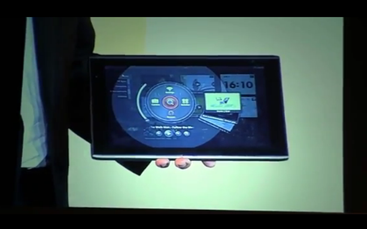 Intel showcased a “Medfield” design running Google Android* 3.0 (“Honeycomb”) for the first time. 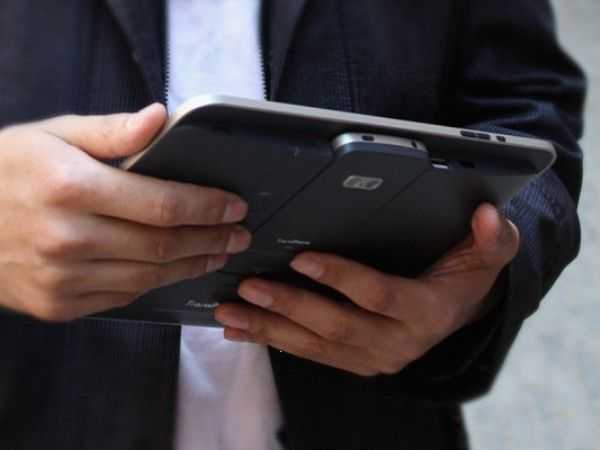 In production later this year, the platform will enable sub-9mm designs that weigh less than 1.5 pounds for tablet designs in market the first half of 2012. It will support a range of operating systems including Android and MeeGo. We’ll be back with some pics, vids and info from the teams on the ground very soon. I posted the full press release here.